The first article in the series, Investment Themes Your Wealth Manager Isn’t Telling You About, provides great insight and perspective on cryptocurrencies such as bitcoin. This article may be especially relevant for investors who are still confused by the concept of and the opportunity provided by cryptocurrencies. FRA acknowledges the potential for cryptocurrencies to mitigate risks associated with the continued war on cash by governments. Measures taken by governments to restrict and eventually eliminate the use of cash will only continue, especially if negative real interest rates persist or increase in magnitude. In addition, cryptocurrencies present the opportunity to hold assets outside of the banking system. Doing so helps investors avoid the risks associated with bank bail-ins or other repressive measures “necessitated” by the banking crises inevitably generated by a fractional-reserve system. Given bitcoin’s dramatic price increase over the last few years, its relative price stability, and the opportunities it presents, investors should learn more about cryptocurrencies. In 1994, most investors had heard of the Internet, but had no real idea of what it was or how it would impact their lives. An episode of the Today Show that year featured Katie Couric and Bryant Gumbel discussing the topic when Bryant Gumbel asked “What is the Internet anyway?” By the time most investors truly figured that question out, fortunes had already been made and many other business models had been disrupted. The lesson: astute investors should take time to understand the technology that computer geeks are enthusiastic about. Today, that is bitcoin and other cryptocurrencies. Like the Internet back then, most investors have heard of bitcoin, but few have a real grasp of the disruptive technology behind it – the blockchain. Blockchain technology has the potential to be as revolutionary and disruptive as the Internet itself. 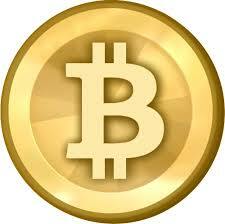 Bitcoin was the first cryptocurrency, a virtual money and payment system. It is based on a revolutionary technology referred to as the blockchain. Understanding bitcoin and other cryptocurrencies involves first understanding the blockchain itself, the genius behind all cryptocurrencies. The “blocks” contain bitcoin transactions. The most recent bitcoin transactions are recorded on these blocks which are verified with cryptography (an encryption system using advanced mathematics). Only a bitcoin owner’s cryptographic keys can alter that segment of the blockchain. This prevents double-counting of or multiple claims to bitcoins. The blockchain is thus a “chain” of these many “blocks” registering ownership in one comprehensive and transparent accounting ledger. Bitcoin owners have access to their respective transactions within the blockchain available to them anytime, anywhere in the world. Further, this requires no middleman’s trust or approval. It is as if each individual becomes their own bank and controls their own money. This bank is open 24 hours a day, seven days a week, and it can be accessed globally and transacted quickly with minimal transaction fees. It is portable beyond national borders with a value that is set globally. Contrast this to an investor with money in the bank. An investor’s money is also an electronic entry, but this time on a private accounting ledger controlled by the bank. This requires dealing with the bank to get access to their own money. Worse, due to fractional-reserve banking, money in the bank is actually largely lent out (depositors are creditors to the bank). Transaction costs may also be high or it may simply be impossible to do certain global transactions. It is a global peer-to-peer system, managed by its members and not reliant on any centralized governing body, corporation, or government to function. In this sense, it is a pure free-market model where members maintain the system in a way that supports their own economic interests. Essentially, the system is run by the majority of its most active participants referred to as “miners.” These miners are a global community of individuals who keep the blockchain updated by authenticating transactions. As a reward, they earn new bitcoins. In this regard, they are given the name “miners” in reference to gold miners who are rewarded for their mining efforts with new found gold. The ledger is replicated across the entire network of users such that no centralized institution or server controls the blockchain data. Since the data is replicated thousands of times over on computers globally, hacking would require massive computing power. In any such attempt, the offending computers will be identified as corrupted by the tens of thousands of uncorrupted copies of the blockchain. For this reason, bitcoin and the blockchain are likely much more secure than most centralized systems we rely on today. Although the blockchain has never been hacked, certain online accounts holding bitcoin have been hacked which created some negative publicity. However, it is critical to differentiate between the security of the blockchain itself and where a user chooses to store their bitcoin. Related to the security of each transaction, the miners help audit and confirm the validity of every transaction on the blockchain many times over, such that hacking and fraud of the bitcoin are highly unlikely. Imagine a dozen accounting firms auditing every transaction of a business and only approving them if all accounting firms agree. Why is the blockchain concept so revolutionary? The value of bitcoin or any cryptocurrency can be hard to grasp, although it has a price that is set globally and trades 24 hours a day. Thus, a global network of buyers and sellers act to set the price at every moment. At its core, bitcoin is a digital currency that can be used to transact, act as a store of value, or held as a speculative investment. Overstock.com was an early adopter to accept bitcoin, but bitcoin can now be used at over 100,000 merchants including household names like Starbucks, Walmart, Home Depot, Tesla and Subway. The value is contingent on supply and demand. For bitcoin, the supply is programmed to grow from approximately 16 million bitcoins today to 21 million bitcoins in the future. It has a finite supply (unlike fiat currencies today), supporting its longer-term value. Demand drivers include the utility or benefit users get from using bitcoin. These include a trustless blockchain technology allowing individuals to become their own bank, an ability to transact or transfer value globally at any time to anyone at minimal costs, and the capability for micro-transactions (more on this below). With a market capitalization (or total value) of $18 billion, bitcoin is similar to the concept of owning a piece of other payment systems like PayPal ($52 billion market capitalization) or MasterCard ($120 billion market capitalization). Micro-transactions today are totally uneconomical with financial institution fees, but bitcoin can be transacted in any fractional amount. For example, imagine someone needing to do a transaction in a poorer region of the world. Today, they could transfer 0.0012 bitcoin or approximately $1.44 (based on a bitcoin price of $1,200). Transferring dollars would be cost prohibitive with any normal level of financial fees. Applying this technology to regions of the world needing money in small denominations and lacking access to traditional banking could unleash the power of bitcoin as the money of the internet. There has been some debate about whether cryptocurrencies like bitcoin represent money. Money is a medium of exchange and, as such, presupposes the ability to act as a store of value. Over two thousand years ago, Aristotle noted the primary qualities exhibited by money: portability, durability, homogeneity and divisibility. Bitcoin meets these criteria. Today, as most currencies are increasing their supply dramatically, bitcoin offers a unique alternative due to its finite supply. Interestingly, the price of bitcoin surpassed the price of gold for the first time ever on March 3, 2017. Why do investors own bitcoin or other cryptocurrencies? Many owners of bitcoin are using it for transactions. However, some view it as a store of value or speculative investment. This former view is a hedge against the risks of a future global currency crisis as most governments today have debt levels which can only be repaid by massive monetary printing. Bitcoin may be a hedge against monetary instability or capital controls as it allows individuals to be their own bank and control their money outside of the fractional reserve banking system. For speculators, it is an opportunity to be part of a vibrant and mushrooming industry where the value of bitcoin may grow as more users enter its network. Technology is always evolving and its path is far from certain. In social media, early winners like Myspace gave way to Facebook, so the future of leading cryptocurrencies could change. Miners can also have disagreements leading to splitting a cryptocurrency in two separate coins, referred to as a “hard fork.” For example, there is currently a debate in the bitcoin community about block size as it relates to speed and cost of transactions. If a hard fork occurred, current bitcoin owners would get coins in each new currency that they could trade. Prices of any cryptocurrencies can be extremely volatile. Also, cryptocurrencies pose a risk to governments as a store of value outside of the banking system. Since banks are reliant on depositors to keep a leveraged system afloat, governments could crack down on bitcoin or tax it excessively. Today, most governments have accepted bitcoin and, in the U.S., it is given favorable tax treatment under the capital gain tax laws. What areas will be impacted by blockchain technology? We see three branches emerging. First, money and banking as bitcoin and other cryptocurrencies gain acceptance as a store of value and payment system. Second, titling and document retention. A group of open-architecture platforms, such as Ethereum, are creating smart contracts for many business applications to eliminate the need for a middleman due to the trustless nature of the blockchain. Ownership of their “coin” is somewhat akin to owning stock in their ultimate platform. This area is likely to disrupt many businesses as their platform allows developers to create business applications that act as smart contracts with a traceable system documenting all records, management, and transactions. This has the potential to disrupt any businesses that serve as a middleman to ensure trust amongst the transacting parties including title companies in real estate and even global stock exchanges. Ultimately, we foresee many private and government applications built around the blockchain technology. 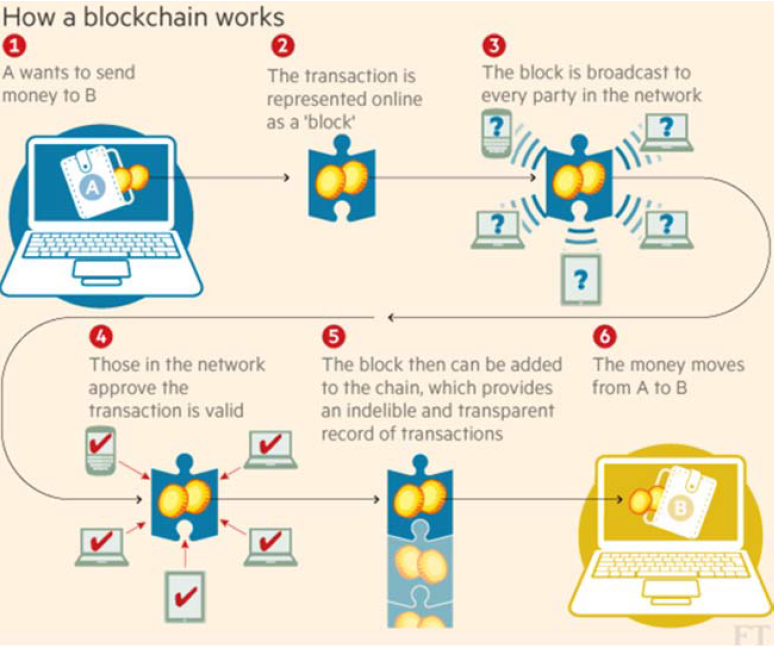 Private uses of blockchain may be back office systems for banks and financial firms. We are even seeing disruptive social media sites like Steemit that reward key users and contributors with value in the social media network (akin to ownership) instead of these benefits only accruing to corporate owners (such as Facebook’s model). Securely storing and validating records (health, education, legal, etc.) and even authenticating voting remain likely possibilities. This blockchain revolution is much bigger than bitcoin alone, but bitcoin remains the leader in payments and as an alternative store of value. While many of us may feel as lost about cryptocurrencies today as Bryant Gumbel was about the Internet, investors ignoring the potential of the blockchain may miss out on an equally lucrative opportunity. All content and matters discussed are for information purposes only. Opinions expressed are solely those of WindRock Wealth Management LLC and our staff. Material presented is believed to be from reliable sources; however, we make no representations as to its accuracy or completeness. All information and ideas should be discussed in detail with your individual adviser prior to implementation. 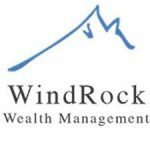 Fee-based investment advisory services are offered by WindRock Wealth Management LLC, an SEC-Registered Investment Advisor. The presence of the information contained herein shall in no way be construed or interpreted as a solicitation to sell or offer to sell investment advisory services except, where applicable, in states where we are registered or where an exemption or exclusion from such registration exists. WindRock Wealth Management may have a material interest in some or all of the investment topics discussed. Nothing should be interpreted to state or imply that past results are an indication of future performance. There are no warranties, expresses or implied, as to accuracy, completeness or results obtained from any information contained herein. You may not modify this content for any other purposes without express written consent. Nakamoto, Satoshi. Bitcoin: A Peer-to-Peer Electronic Cash System. 24 May 2009 <http://bitcoin.org/bitcoin.pdf>. Christopher P. Casey, CFA®, is a Managing Director with WindRock Wealth Management. Mr. Casey advises clients on their investment portfolios in today’s world of significant economic and financial intervention. He can be reached at 312-650-9602 or chris.casey@windrockwealth.com.